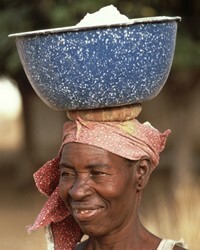 The Fali people are called Bana in Nigeria. They also live in Cameroon. 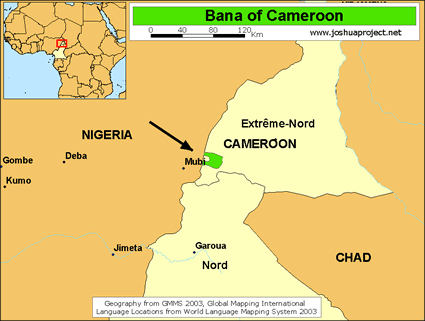 In Nigeria, the Bana live in the northeast, mainly in the Mubi District. Fali in Fula means 'perched' and relates to the Fali settlements on the mountainsides. They do farming and hunting. Their main crops are millet, peanuts and cotton. The Bana are exogamous. They live with or near to the parents of the husband. Inheritance is generally passed to the sons. They have clans with chiefs and with lands. They speak a few languages. The Bana have an indigenous religion. They believe in a creator god called Faw and a mother goddess called Ona, their earth deity. They pray to ancestors to pray to Faw for them. Many if not most of the Bana have now converted to Islam. Many have become Muslims recently. * Pray that with the Fali or Bana believing in a creator god that this will lead them to Jesus Christ. * Pray that they will have dreams and visions leading them to salvation too. https://en.wikipedia.org/wiki/Fali_peopleView Fali in all countries. Location in Country: Far North region: Mayo-Tsanaga division, Bourrah subdivision, north and northeast of Bourrah, on Nigeria border.